Canadian giant, Nautilus Minerals, is leading the world in deep-water mining exploration, and has plans to harvest the riches of 11 hectares of copper and gold-rich sea bed. The depletion of resources on land together with the increase in resource demand and the parallel development in technologies for deep sea exploration have brought the issue of deep-sea mining to the forefront of political, industrial and scientific debate, writes Carlos Duarte. Shallow submarine mining is already a reality in coastal areas, such as the De Beers Marine diamond mining operation in Namibia, in depths up to 150 metres. The current challenge is to move these operations to the deep sea, which contains vast resources of minerals, including manganese, iron, nickel, copper, cobalt, rare earths and gold, often associated with areas of volcanic activity. Whereas nations are sovereign to regulate seabed mining within their economic exclusive zones, the access to resources in the seabed and ocean floor beyond these national jurisdiction waters, referred in United Nation Convention on the Law of the Sea (UNCLOS) as “the Area”.is organized and controlled by the autonomous international organization called “International Seabed Authority” initially established under UNCLOS. To date, the International Seabed Authority has entered into seventeen 15-year contracts for exploration for polymetallic nodules and polymetallic sulphides in the deep seabed with thirteen contractors. Eleven of these contracts are for exploration for polymetallic nodules in the Clarion Clipperton Fracture Zone in the Pacific, with two contracts for exploration for polymetallic sulphides in the South West Indian Ridge and the Mid Atlantic Ridge. 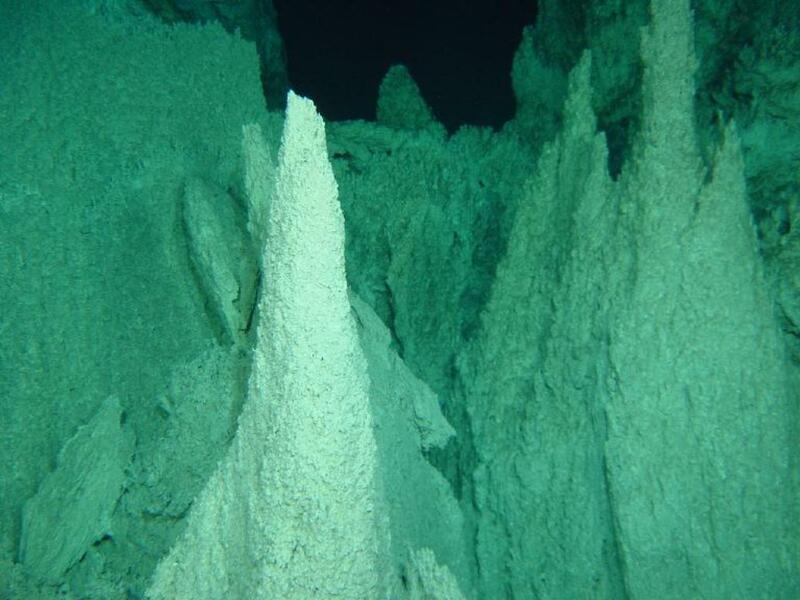 Carbonate chimneys at inactive hydrothermal vent sites of Lost City, Mid Atlantic Ridge. (c ) Ifremer, Exomar cruise 2005. These contracts allow the contractors to explore specified parts of the deep oceans outside national jurisdiction, giving each contractor the exclusive right to explore an initial area of up to 150,000 km2. Russia, China, Korea, Germany and and France are the nations involved in most of these contracts, which include contracts for small nations, such as Nauru, Kiribati and Tonga, whom would likely open them up to tender by international companies. Indeed, at a summit on Deep-Sea Mining in London two months ago Mark Brown, Minister of Minerals and Natural Resources of the Cook Islands, announced that the Cook Islands is embracing deep-sea mining as a pathway to multiply the country’s gross domestic product by up to 100 fold, as they assessed that the Cook Islands' 2 million Km2 exclusive economic zone contains 10 billion tons of manganese nodules, which contain manganese, nickel, copper, cobalt and rare earth minerals used in electronics. Negotiations are under way between the Cook Islands and companies in the UK, China, Korea, Japan and Norway, towards granting the first tenders within a year. These facts suggest that we may soon face and underwater gold rush, but in most citizen’s minds deep-sea mining is still something for sci-fic movies. Much to the contrary, the technology for deep-sea mining is not something of the future but it is largely existing. A deep-sea mining operation consists of a mining support platform or vessel; a launch and recovery system; a crawler with a mining head, centrifugal pump and vertical transport system; and electrical, control, instrumentation and visualization systems. Companies such as Lockheed Martin, Soil Machine Dynamics, IHC Mining and Bauer or Nautilus Minerals are developing vehicles for deep-sea mining, pledging they are in the position to readily develop techniques to operate down to 5,000 metre depth. Indeed, the submarine vehicles required are already in existence and their operations are described in compelling animations. Besides direct removal of parts of the sea floor during mineral collection, increased toxicity and turbidity is expected in the water column due to sediment resuspension during the extraction (ie near bottom) and tailings rejection after minerals are sorted on the floating plateform (ie near the surface) resulting in clouds of particles forming plumes. . Waste will represent most, 90%, of the volume of materials pumped to surface and, thus, seabed operations will deposit massive amounts of waste at the sea floor. This waste can, in turn, release massive amounts of metals and other elements to the surrounding water, impacting on the ecosystems that thrive near these deep sea mining sites. While near bottom resuspended sediment may cause a major threat to local communities, surface plumes generated by tailing may have a wider impact by affecting larger areas. Here is, however, where the main problem lies. Deep sea communities are very poorly characterized and mapped, and even where a reasonable taxonomic knowledge could be claimed and communities mapped over accurate scales, their sensitivity to these impacts is unknown. 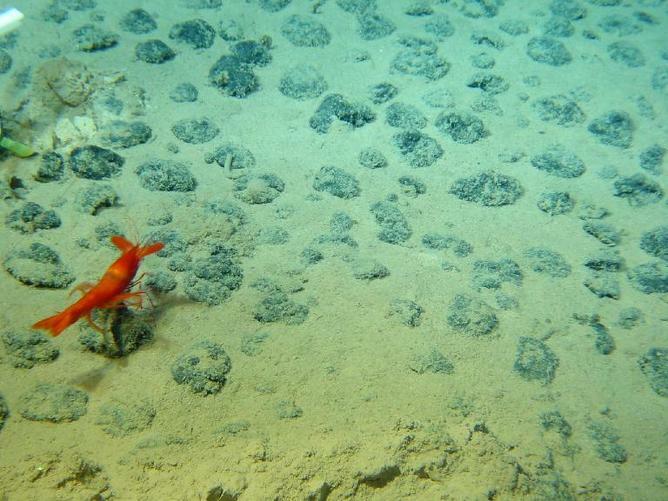 Despite these uncertainties, there is little doubt that losses of fragile deep-sea communities during the operations will be unavoidable, and the focus of industry and scientists is placed in the ecological restoration of the deep sea from impacts of mining. The International Marine Minerals Society has developed a voluntary Code for Environmental Management of Marine Mining that recommends that plans for deep sea mining include at the outset procedures that “aid in the recruitment, re-establishment and migration of biota…”. The first impact assessment for a deep-sea mining project has now been produced. This was commissioned by Nautilus Minerals Inc., incorporated in Canada but also present in Australia (Queensland). Nautilus was granted the first mining lease for polymetallic seafloor massive sulphide deposits at the prospect known as Solwara 1, in the territorial waters of Papua New Guinea, where it is aiming to extract copper, gold and silver. The company, which is likely to be the first one to implement deep-sea mining is also looking at operating in the exclusive economic zones and territorial waters of Fiji, Tonga, the Solomon Islands, Vanuatu and New Zealand. A workshop, promoted by Nautilus Minerals Inc., was held in Sète (France) in November 2012, including one of us (S.A.-H.) to consider the feasibility of ecological restoration of the deep sea following mining operations. The outcomes of the workshop are reported in a paper, including coauthors from Nautilus Minerals Inc, published in the journal Marine Policy (Van Dover et al. 2013). This exercise indicated that most of the direct costs (80%) for a deep-sea mining restoration programs would be associated with ship use, including use of remotely operated and autonomous underwater vehicles. The experts attending this workshop concluded that deep-sea restoration will be expensive, but that cost alone should not be a reason for inaction and that restoration should be included in project budgets. They concluded that where restoration costs are prohibitive, offsetting options can be explored but that neither restoration nor rehabilitation objectives or commitments should be taken as a ‘license to trash’. A record of disasters in the offshore oil and gas industry, as well as deep sea fisheries, shows that there is a high price to pay in allowing industry to move offshore faster than scientific research does, yet only a handful of nations – which do not include Australia – are sufficiently equipped for deep sea scientific exploration as to keep pace with industry. The basic knowledge (taxonomic inventories, habitat mapping, characterization of faunal assemblages and dynamics of deep species interactions, …) of deep sea ecosystems and the evaluation of their vulnerability, recovery time scales and processes is a matter of urgency, but this goals cannot be met without significant investments in capabilities for deep-sea research. Providing the immediacy of deep-sea mining, the investment in scientific infrastructure and research to provide the scientific underpinnings for the safe and sustainable mining operations in the deep-sea is an imperative. This piece has been co-autored with Sophie Arnaud-Haond, IFREMER, France. Carlos Duarte does not work for, consult to, own shares in or receive funding from any company or organisation that would benefit from this article, and has no relevant affiliations.